I love Korean cosmetics because they are good and cheap. However, there are just too many brands and new products that I don't even know where to start. There are many vlogs and posts about Korean cosmetics review but I am sceptical about those. The reviews might vary due to individual skin condition as well as experience with other beauty products. Then, my bf introduced me to the popular Korean variety show called Get It Beauty. 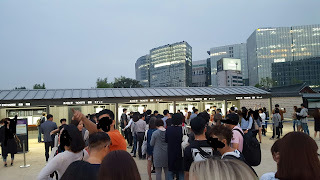 It seems like Koreans themselves faithfully follow the information provided by this variety show. When you visit pharmacies or cosmetics shops in Korea, you will see some products proudly bearing the Get It Beauty label. These are products that shops would want to display at the most prominent spot. That forms a guide for me when choosing Korean cosmetics. It is hard to visit shop by shop to locate the get it beauty tags. I get my information from http://getitbeauty.lifestyler.co.kr/getitbeauty. The category to carry out blind test on are selected based on latest Korean trend. From around 130 products that are sent to the show, 10 will get selected by 3 professionals. Out of the 10, 5 will get selected based on online reviews and blind tests by 10 other professionals. The ranking of the top 5 products will be based on the aforementioned (online review + feedback from 10 professionals) together with feedback from hosts and participants who are invited to the show. Quite a stringent process I would say. For those of you experiencing a hard time choosing Korean beauty products (like me), fret not, this is the complete guide for your daily routine. This is the one stop guide as I will update information as and when. The information below (in sequence based on the Korea skincare routine) are extracted from Get It Beauty website. If you have any queries, feel free to leave a comment. I was told that one of the secret to Koreans clear skin is due to the use of cleansing water. It functions as both cleanser and make up remover. Ranked number 1 is none other than Dr Jart + dermaclear micro water. I have tried both Dr Jart+ and Bioderma (ranked number 3 and slightly cheaper than Dr Jart+) cleansing water. I prefer Dr Jart+ as it really clears up my skin, brightens it and keeps it moist. Use a cotton pad to soak up the mineral water and give your face a thorough wipe. Bubble cleanser are known to be gentle to the skin. I have sensitive skin and my personal experience with bubble cleanser is that it is soft to the skin and does not rip out the moisture from the skin layer. My face usually feels scratchy and looks red after using normal cleanser but not with bubble cleanser. This can only be used for normal cleansing and cannot double up as make up remover. I am introducing the product ranked number 2 on get it beauty. It is the Happy Bath (Korean brand) Soap Berry Bubble Foam. The reason I am introducing number 2 instead of number 1 is because of the price. This only costs SGD15 or less (during promotion) whereas the product ranked number 1 costs more than SGD30 (Hera cleansing moose). Of course, go with the product which brings the most value for money (anything that makes its way up to the top 5 list on get it beauty website are worthy to consider). I am not a fan of cleansing oil but for those of you out there who is interested in it, ranked at number 1 is Etude House's Real Art Cleansing Oil Moisture. Powder wash is supposed to clear out dirt from your pores. I have not tried it before but will get my hands on one once I get the chance to. Ranked number 1 is Orbis Powder Wash (have not heard of this brand before). The second step after face wash will be toner. Ranked number 1 is Tony Moly's Floria Nutra Energy Toner. I would like to give this a try, currently I am using Innisfree's Olive Real Skin (slightly cheaper) which is ranked at number 3. It seems like alot of people have issues (from comments in the website) with the smell of this face mist which is ranked at number 1. This is Mistian's Facial Mist. Surprisingly, Innisfree's Green Tea Mineral Mist which is ranked at number 5 (same price) has received better comments. I am also using the Innisfree mist which feels refreshing but I prefer Nature Republic's Bee Venom Mist (able to reduce redness). Based on latest blind test done, Skin Food's Black Pomegranate Essence Mist top the list. This mist has volumizing effect which improves skin elasticity and is said to be good for oily skin type. I know I skipped a few steps in between (wasn't able to find the ranking for essence though). Ranked at number 3 for moisturizing mask is Banila Co's V-V Elastic Bio Cellulose Mask Sheet. Ranked at number 1 is Lancome which costs above SGD120 for 6 sheets (definitely not for me). Can't believe that The Face Shop's Mango Seed Facial Butter beat belief's Moisturizing Bomb to claim the number 1 spot. I am going to try this some day too. The blind test was carried out over 12 hour period to test which product is able to provide a lasting moist. If you prefer something light, go for the gel type moisturizer. Ranked at number 2 is none other than Laneige Water Bank Gel Cream EX. Ranked at number 1 is SU:M37 waterful timless water gel cream which costs more than SGD80. I seldom use sun block as I tend to apply BB cushion which functions as a sun block as well. Ranked at number 1 is Dr G Brightening Up Sun SPF42 PA+++. This primer (Apieu's Start Up Pore Primer) is the cheapest and still managed to top the rank. Primer will help to smooth out the skin to create the flawless look. Not a Korean brand this time round but it shows that the blind test is fair right? Ranked at number 1 is none other than Maybeline New York's Age Rewind Concealer. Good news is that you can get this in Singapore! BB cushion is a product that is reviewed by many. I have tried out Laneige (I believe most of us started with this brand), Espoir (Clicknetwork says it is used by Korean air stewardess but I have yet to verify), IOPE and LUNA (water essence founpact). Each has its pros and cons and I will use it based on the climate. If I am in Singapore, I tend to prefer Espoir. If I am experiencing winter in Korea, I will go with IOPE or LUNA. My skin tone is a Laneige no. 21 and also 21 for IOPE and LUNA. For Espoir, I will choose petal colour. Ranked at number 1 is Hera's UV Mist Cushion which I will also try out one day to find out why it is ranked higher than IOPE (ranked at number 3). After trying out Hera, Laneige, Espoir, IOPE and April Skin, I think April Skin's BB cushion best suit my skin type. The #21 shade perfectly matches that of my skin (I usually use #21 shade for other brands as well). It doesn't cake up or make my face appear shiny at the end of a long day. It seems like stick foundation is getting popular too. Using a lighter or darker shade, stick foundation can provide highlighting and shading. Ranked at number 4 is A'PIEU's Smart Speeder Stick Foundation (only comes in 2 colour). The recent episode introduces Etude House's stick foundation which has a wider range of colour to cater for shading, blusher and highlighting. The effect is quite subtle and natural. This costs KRW12,000 won. The only Korean brand (most affordable) that made it to the list is Banila Co's So Wonder Smooth Gel Eyeliner. I had a huge problem with eyeliner as I have oily lids. It will almost always smudge (whether it is gel type, pencil type or liquid type). Finally found a saviour, Espoir Bronze Painting Waterproof Eyeliner which costs around KRW12,000. Do check it out, I found this recommendation from Naver, a list of eyeliners that will not smudge no matter how hard you cry. The first 3 costs more than SGD25 and Peri Pera's Feel So Good Cake Eye Brown only costs around SGD10. I have been trying to find this for the longest time, gave up (can't find it on peri pera website as well so my verdict is that they have stopped production) and bought Etude House's eyebrow powder instead which is ranked at number 5. If you are interested in eyebrow pencil, can try out Skin Food's Choco Powder Eye Brown Wood Pencil which is ranked at number 4 in its category of pencil eyeliner. Saw this interesting Etude House eyebrow tint which has a surprisingly good effect and review (contrary to lip tattoo). This tint works like a tattoo and produces very natural brow. For girls with dark coloured hair, I will recommend using grey brown colour (no. 3). This costs only KRW8,500. It is said to last for 3 days to a week. You can apply and leave it on overnight. Peel it off the next day and tada! Will try this soon, am amazed by the result. The review of this mascara from the host of the show is very promising. It is highly rated for its ability to hold the curl. I can't wait to get my hands on this in May. Ranked at number 2 is Missha's Super Extreme Powerproof Mascara (Volumizing Curler). Highlighter can accentuate certain features of your face and is usually applied on the T zone, under the eyes and on the chin. Ranked at number 2 is The Saem's Saemmui Luminous Multi Highlighter (02 Gold Beige). Surprised that Etude House is able to make it to the top 5 list for so many products. Ranked at number 1 is Etude House's Lovely Cookie Blusher (11 Peach Chou Wafer). There are quite a few ranking for lipstick and I am just getting information for the latest blind test which is comparing the rose coloured lipsticks. Ranked at number 1 is Missha's Signature Dewy Rouge (PK02 Rose Geranium). From the reviews, it seems like the smell of this lipstick is pleasant and it doesn't stain easily. I am not a fan of rose colour thus will try out either the Wink Bunny or Desert Coral tone. My personal recommendation is Mamonde Creamy Lip Tint that is endorsed by Park Shin Hye. It comes in a variety of colours and keeps the lip moist. I can't say that it doesn't stain your cup but minimal staining as compared to the rest. Traditional lipsticks have some sort of chemical taste but this has none and costs only KRW8,000. After all the effort to get your make-up done, how do you ensure that it stays the same for the next 24 hours? The answer to this is make-up fixer. Ranked at number 2 is Too Cool For School's Perfect Day Make-Up Fixer which costs KRW12,000. 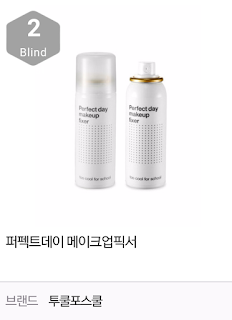 Ranked at number 1 is So Natural's All Day Tight Make-Up Setting Fixer at KRW15,000. I have not come across this brand before so thought finding it would be a challenge. After towel drying your hair, it is recommended to apply essence to the tip of your hair. Ranked at number 2 is Tony Moly's Make HD Silky Argan Oil. Very informative! Thanks :) wanna try out some of the top rated products!